Aha! Creative is a full service advertising and marketing agency. Our work includes branding, ad campaign management, market strategy and planning, print design & website design, political campaigns, broadcast radio & television ad production, long form video for web, photography, social media management, & communications. We are headquarted in the Tennessee Valley, with offices in Tennessee and Alabama. We represent a world of clients in 40 states, in industries including economic development, manufacturing, financial services, retail and e-commerce, food services and hospitality, healthcare, and state and local government offices. And the fish? They're also part of our office family. In 2006 we installed a footbridge with a 500 gallon pond below our front entrance, and is the first feature you walk across when you enter our offices. Our original four fish are now eleven years old, 10 inches long and thriving, and have had a couple of hatches of offspring along the way. A little unexpected, but that's what to expect from us. Aha! Creative has designed and developed beautiful, responsive websites for clients around the U.S., including many of the businesses you know and use everyday if you are near The Shoals. 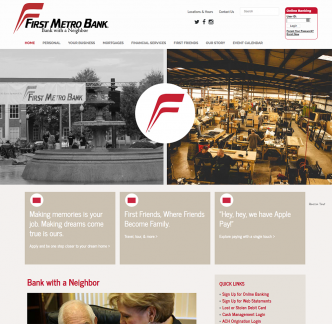 Some of our best web designs have been for clients from all across the Tennessee valley and the Southeast. Use Insyteful™ to mobilize your team quickly and get ahead of your competition. Insyteful™ has the tools you need to identify companies visiting your website and allocate your leads, generate instant notification of future visits and get your team working more effectively. Need a smarter way to advertise? Aha! Creative can get your company noticed. Our team of graphic designers will work to bring you the most contemporary up-to-date designs and give your company a polished visual presence. Communicating with your clients and customers is just as important as selling to them. Whether you need help delivering a marketing message, building rapport with customers, or correcting some bad publicity, Aha! Creative can help. Do you know how important it is to have a cohesive brand image? Do you have several different color schemes and logos at work right now? Aha! Creative can help you consolidate these different directions into one solid brand image. 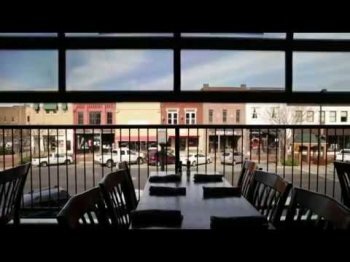 You might not realize it, but you can shoot a commercial right here in the Shoals area! Aha! Creative offers video production as one of our many marketing options. Take a tour of our in-house studio space, which can be tailored to accommodate your project. We represent a world of clients; local, regional, and national - from manufacturing, financial services, health care, interior design, fashion, retail, hotel, hospitality and food service, to economic development agencies, government offices, and civic groups. The Aha! Creative team was terrific! The ideas and collaboration were spot on and I soooo appreciate all your work to make www.mansfielddiabetes.com just how I envisioned it. Thank you Aha! As Economic Development Director for the City of Lewisburg, having a great website is one of the most important tools for growing and attracting new business, industry, commerce, visitors and residents. We looked at several website designers and we chose Aha-Creative and The Next Move Group because they had the best ideas and design, provided the best customer service and offered a little something extra. The staff at Aha-Creative walked us through every step without overwhelming my staff and me with technical jargon. They provided the patience we needed to succeed and take control of our beautiful, functional, new and improved website. We love working with Ray and the Aha! Creative team because first they work to understand us and what we are trying to achieve. Then, they help us get where we want to go. Over the past year and a half, our Aha! experience has been a truly collaborative effort that continues to be seamless, easy, fun and rewarding. I would like to take this opportunity to thank Ray Methvin and the Aha! Creative staff for the excellent job on developing and implementing the new City of Lewisburg website. Not only is the new website outstanding and everything we hoped for, but the development process was excellent. Ray and the Aha! Creative staff were great to work with. They are professional and knowledgeable and worked well with our staff. They communicated well with all of us and had everyone trained and prepared by the time the new site went live. We have received many compliments from the citizens of Lewisburg. They have not only been complementary of the new site’s appearance but have also found it to be informative and very user friendly. Thanks again for a job well done. Main Street Lawrenceburg turned to Aha! for an updated, modern website with functionality. The work performed by such a talented group made our organization not only stand apart locally but on a statewide scale. Aha! and its staff are commended by our organization for a performance that exceeded our greatest expectations. The City of Loretto has been associated with Aha! Creative for over eight years. They created two brochures and the City of Loretto website. The quality of work performed and service is outstanding. When we are in need of an update or change to our website we receive quality work in a timely manner. I would highly recommend Aha! Creative to any organization to create brochures, website and any other design needs. I think any government, organization or business would be well pleased with the quality of work and service from Aha! Creative. We have had the privilege to work with Aha! Creative for the past nine years. Throughout our time together Aha! has been involved in every part of our marketing and advertising efforts. Ray and his staff have consistently suggested advertising formats and designed campaign avenues to position Southern Craft as a market leader and expand our clientele. I couldn't be more pleased with the work I've received from Aha! Creative, and I look forward to many more years of partnership. Throughout the entire process, the staff at Aha! was more than helpful with any questions we had and was very responsive to any ideas that we proposed. When the project was complete, Aha! 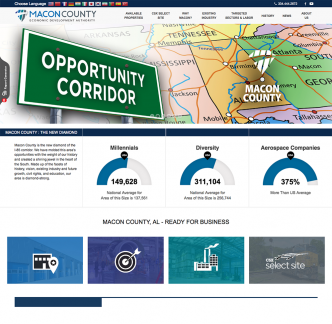 Creative was able to provide the citizens of our county with a new website that allowed them to find the information they need in a timely manner and to conduct much of their county business online all the while providing people outside of Lawrence County with a professional look at what our county has to offer. I would highly recommend Aha! to any government entity or business looking to advance whatever cause they may have because they sure helped us. Aha! Creative produced our new web site and structured our array of programs in such a way that visitors can easily locate information about workshops, classes, exhibitions, concerts, plays, educational outreach as well as information about the Association’s history, its new Foundation for Endowment, its permanent collection of art and its historic Ritz Theatre. Owner Ray Methvin grasped the scope of the work from the beginning and understood what we were trying to achieve. He spent hours meeting with our staff, organizing materials, and making recommendations that makes the site easy to navigate. The Aha! Creative staff are all extremely helpful and easy to work with. We told them our vision for our website and they brought it to life. They have been helping us for over a year with different projects and we are never disappointed. We appreciate that Aha! Creative can complete our projects in-house, without outsourcing the work to third party vendors. Aha! has performed branding and logo design, web design and print design for us and we have been very happy with the results. If we had any questions or needed any support, Aha! and its entire staff of designers and web developers was just a phone call away. Aha! just finished one website for us and we did not hesitate to have them start work on our next project. We are a real estate company in a small town. Most of our clients are now viewing our properties online, here locally and out of state. My firm wanted a site that was simple to get to and easy to search - even for the most "internet-challenged," me included. Aha! completed the task. Our new site allows the client the ability to view all the properties that are available and make some decisions in their homes. The Aha! Creative team designed and built a website that performs just as I had hoped. The entire staff was great to respond to our requests and changes and made them immediately. Working with Aha Creative is a wonderful experience. During the creative process, Aha is most proficient and professional; always listening closely and responding with great understanding and success. It is rare to find a professional organization who fully “gets it,” delivering high-quality products when you need them. Our campaign consists of several print, video, and electronic pieces. Not only is each individual piece beautiful on its own, they work together providing a consistent message with wonderful visuals. Thanks for your good work Aha! Our new catalog, designed by Aha! Creative, has brought our company up to date with our clients' needs and expectations. The result has been our best year ever in sales. Thanks Aha! 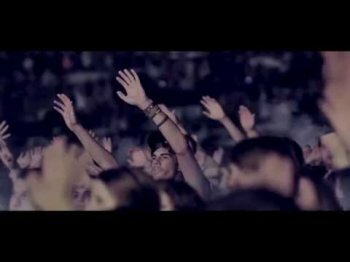 Our relationship with Aha! Creative goes back five years. Our experience working with them is always upbeat and positive. They understand our needs as a Chamber of Commerce and quickly respond to our questions, offer advice or troubleshoot any work they have done for us on our website or elsewhere. We are pleased to share our thoughts with you and wish you immense success in your chamber organization. We are also confident in Aha! Creative's ability to assist you with your communication needs. I’ve used Aha! Creative for 6 years and have been so pleased with their creativity and affordability. They listen, get a grasp of what you’re trying to accomplish, and go to work. How fortunate we are to have a big town agency in our small town! Wow! Aha! Creative has become a great advertising and marketing partner for Fuller Heating & Air. They are quick to respond, very creative, and always on time, no matter the deadline. Aha! handles our print, television, internet, and radio advertising, and I'm always impressed. And – most important – I see the results on our bottom line. Ray and the entire Aha! 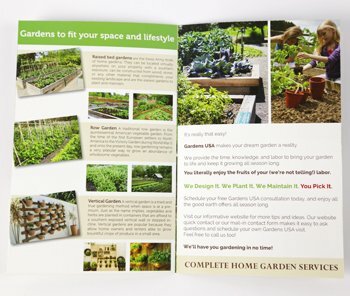 Creative staff did a great job of taking our general ideas and turning them into a great website for Porter Garden Center. I look forward to working with them in the future! Aha! 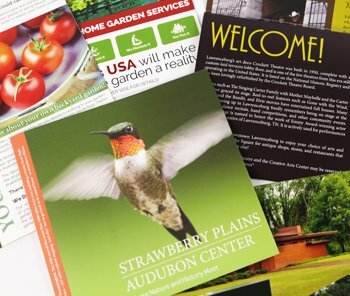 Creative has provided us with both electronic and print design that has had an immediate impact on Northern Craft clients, from catalog to website and individual sales sheets. Aha! Creative listened to my company views, provided insights, and executed our marketing solutions quickly and creatively. The knowledgeable staff at Aha! Creative make the marketing process a seamless, stress-free experience. We feel fortunate to have Aha! A Creative Agency as an outstanding member of the Lawrence County Chamber of Commerce. Their professionalism, quality of work and attention to detail is extremely impressive. We continue to receive compliments from other chambers and visitors on the design and navigation of our web site. We highly recommend Aha! for your design and publishing projects. Ray Methvin and the staff at Aha! Creative worked with us to design new promotional and advertising materials which we felt effectively conveyed our message. The designs the agency created for us were creative and eye-catching. With very little knowledge of marketing concepts on our part, Ray was patient and professional as he guided us through the process. It is my pleasure to take this opportunity to acknowledge Aha! A Creative Agency for exceeding our expectations with our new branding and website development. Ray Methvin and his team of experts asked all the right questions, formulated sound strategies, and produced numerous choices to select from, thus creating an unbelievable palate of exceptional marketing and branding material at an affordable price. To say we are pleased with the results is an understatement. Thank you Aha! Creative for the services you have rendered to us in the past few months when we found ourselves in a precarious situation. Your willingness to help us through a alarming situation is very much appreciated.